Eight years ago today, my father passed away after a long battle with cancer. It was on the 100th anniversary of the founding of Rotary International. Richard W. Cleveland was an attorney, my coach and my hero in so many ways. He was an instrument rated recreational pilot and very serious about preparation, safety and teaching his kids about the importance of being a life long student. I learned to fly because he wanted to be sure that my brother and I would be able to land in an emergency. Of course, we never had one of those, but we sure had fun! Dad used to pay us $.25 for each aircraft we spotted before he did. “Aircraft at three o’clock low…” we would yell out in a never ending competition. There was a time when I thought chewing gum had only one purpose – to defend my ear drums from the pain of descent. No matter where we were going, the voice of they guy in the tower always sounded the same (strange) on the radio. 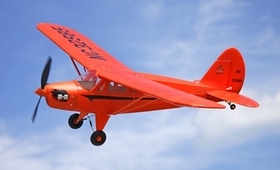 The pre-flight check list and routine was a killer, insufferable delay from my point of view in the co-pilot’s seat, but he never hurried it… Night flying scared the crickets out of me, for no reason at all. Calm winds and open blue sky over a blanket of white clouds on a sunny day; probably the best day in memory. That’s where he is today. Previous PostDAY FOUR – What I learned from Jim MartinNext PostThe College of Pacific Flight Instructor – Cool Airplanes!